The Miami Valley Equestrian Association is a non-profit organization comprised of equestrians in the area passionate about maintaining and growing the equestrian community. Our primary focus will be the improvement of Twin Towers Park in Fairborn, Ohio. We invite you to get involved in a community of equestrians promoting education, exemplary horsemanship and the improvement of Miami Valley equine resources. There isn’t a part of my life that didn’t have horses in it in some way. Raised on a farm with many animals, one of them being a horse, my childhood companion, a spirited Arabian named WinJan. I started formal lessons at a Hunter barn at the age of 8 and spent most of the following years of my childhood as a ‘barn rat’. I took a break from riding for a few years and eventually purchased my first OTTB 8 years ago. In my early lessons with my new partner Steady Smiler someone mentioned that they thought he would make a great event horse. Having grown up in a Hunter barn I hadn’t ever heard of this thing called Eventing. After going home and googling 3 Day Eventing, it was that moment I knew this was the sport for me. I have slowly but surely trained Steady from the 10-year-old successful racehorse he was (if you’re a race enthusiast you can look at his record here http://www.equibase.com/profiles/Results.cfm?type=Horse&refno=5664021&registry=T ) into an Eventing beast. As with training any horse it hasn’t always been a linear process but I enjoy the journey with this incredibly talented horse. That love and passion for not only horses but also Eventing has been passed on to my 3 girls, ages 11, 13 and 15. Having a family of eventers it makes life interesting and fun with the, sometimes more than occasional, ER visit. Steady and I now compete at Novice as often as I am able between being a massage therapist and a horse Mom. I have fully embraced the Horse Mom position. Getting to watch my children grown into amazing horse women and riders is one of my greatest privileges. I am actively involved with the local Pony Club, I am the show secretary for the Mini Trials held at Twin Towers and now the President of MVEA and Chairman of the Parks Liaison Committee. I developed the idea of creating an organization to promote Eventing and improve Twin Towers Horse Park out of seeing a need in the area. Knowing that if I have hope for this sport and this park to be alive and well for my girls when they are adults that more than a few people will need to step up and do their part. So that is what I did, step up, and here we are! I believe that while some can, not everyone can give a lot but we can call do a little and sometimes that is enough. I currently live on a 6-acre property, “Grateful Acres”, in Waynesville, with my endlessly supportive husband Ryan, 3 children and our plethora of animals. 4 horses, 3 Nigerian Dwarf goats which we breed, the many barn cats and of course Hank the Corgi! Beth’s interest in horses began at an early age when she purchased her first horse, Cassandra, a Thoroughbred cross. 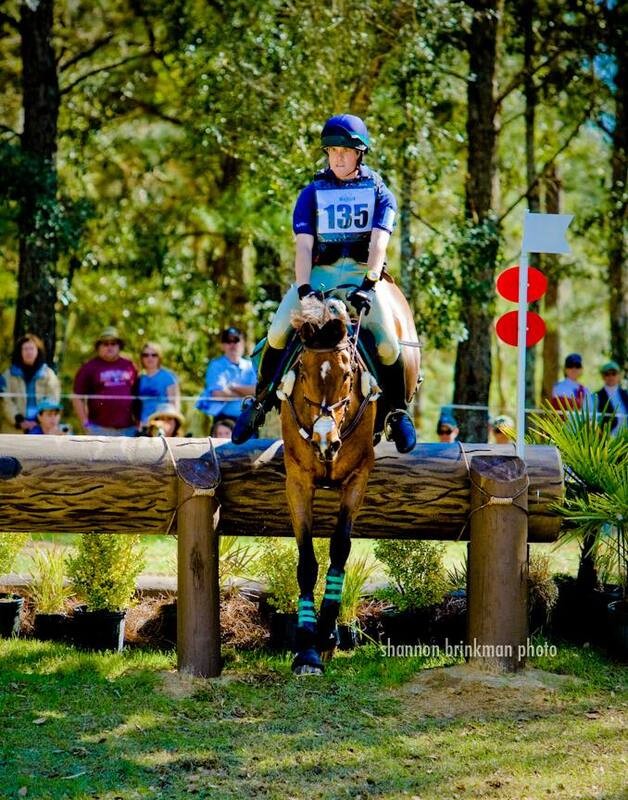 Since catching the eventing bug in the 1990's, she has won the USEA American Eventing Championships at the training level in 2002 and 2013, Reserve Champion Prelim 2010 and the USEA Area XIII Championships in 2016. As her favorite local schooling facility, Beth's interest in Twin Towers Horse Park over the years has inspired her to donate the funding to build the water and bank complexes. While she isn't eventing, Beth is a local small animal veterinarian. She has five rescue dogs, seven rescue cats, three horses and a rescue donkey. Beth is very excited to be working with the Miami Valley Equestrian Association and for the future of Twin Towers Horse Park! I grew up a city slicker, admiring horses from afar. Sure, I took the occasional trail ride while on a family vacation, but it was never enough. One day, I found out that you could take horseback riding lessons - here - in Dayton, Ohio! No way! Then, I got a gift certificate for riding lessons from my parents for Christmas. I was a 28 year old mom and wife, finally getting a chance to do something I had been dreaming of since my childhood! My first years with horses were with the wonderful Wendy Hyland at Conference School of Horsemanship. She taught me so much - I still hear her in my head explaining why a horse behaves a certain way, or yelling at me for doing something stupid. She let me do some work on her farm and even let me teach a few lessons. I will be forever grateful for every moment, every experience Wendy gave me. I got my first glimpse of eventing when I went to watch a friend ride at the USEA horse trials at Hearthstone in Urbana. I was hooked - I had to try this! With help from my generous parents, and the blessing of my ever-supportive husband, in 2006 I finally bought a horse. I was so excited to go to the Tack Trunk to buy all new grooming supplies, saddle pads, tack, etc….. But all the lady there heard me say were things like, “my first horse,” “off the track thoroughbred,” and “9-year old daughter” - she thought I was CRAZY! But Lucky was the best partner we could have ever asked for. I started Lucky on his eventing path, but it was my amazing daughter, Adria, that took him over and had some fantastic experiences with him, including taking him to AECs in 2012. Being the “show mom” for those years was AWESOME and I wouldn’t trade them for the world! Today I am back to being a city slicker. I am the office manager for a medical practice and will hopefully soon be getting back to riding lessons. My history and experiences with horses are not a long as others’, but I love the sport of eventing with a passion. I am so excited to be serving our equestrian community by being involved with the Miami Valley Equestrian Association. I pray I can make a positive difference. I started riding at the age of 5, within the first several years I joined Miami Valley Pony Club where I achieved my “B” rating. In 2005 and 2006 I was selected and lucky enough to ride at the North American Young Rider Championships for Area 8 on the 1* team, both years we brought home team medals. In 2008 one of my horses and myself were USEA’s Preliminary horse of the year and Young Rider of the year. Since then I have brought multiple horses through the FEI and advanced levels of Eventing and have ridden with some of the top trainers in Eventing and jumpers in the country. I hold my USEA Level 2 ICP certification and am working on my USEA YEH certifications as well. I look forward to working with MVEA to help rebuild the twin towers horse park for all of the Cincinnati and Dayton Area eventers! Lori competed in her first event at the age of 13, to fill out a team at the Team Challenge. About the only thing she understood was go jump that. After that first event she delved into dressage and the jumpers, returning to Eventing in her early twenties. An undergraduate degree from The University of Findlay in Equine Business Management and English Equestrian Studies prepared her for some aspects of the industry. A broken ankle changed everything and back to school she went. The horses staying a consistent focus even through law school. Lori graduated from The University of Dayton School of Law, but horses kept her attention and that law degree is buried in a box of dust somewhere. Lori now spends her time primarily working with thoroughbreds as they come off the track, especially for the non-profit Friends of Ferdinand, Inc, giving lessons, and eventing! Lori hosts horse shows for the Dayton Local Show Circuit at Greenstone Stables in Germantown, OH and serves on the board for both the Dayton Local Show Circuit and Friends of Ferdinand, Inc. I don't remember a time that I didn't love horses. From the time when I was 3 and the neighbor would bring his horse, Skippy, over for rides to officially starting lessons at age 7. At age 13, my parents bought me my first horse, Flint. I caught the eventing bug with that 1/2 Arab who was inverted most of the time and whose short legs carried my teenage self to some of the fastest times on cross country (pre-speed fault and common-sense days!) From then on, I brought several horses up through the Preliminary level finding a real passion for training green horses. After being a working student for both Wilhelm Genn and John Hamilton, I moved to a farm in Xenia in 2002 and started Fairwind Stables. I'm so grateful to fill my days training horses, teaching lessons, and raising two wonderful children with my husband, Ryan. Megan was a horse enthusiast from the very beginning. Growing up in a “non-horsey” family, she always dreamed of being a horse owner. At the age of nineteen, she purchased her first horse, Feeling Sinister, and competed him through the Preliminary Level. Megan knew she’d always be a horse owner and eventer. But she wanted more. At age thirty, she purchased her 70 acre farm where she operates her business, Ends Meet Equestrian. Megan continues to compete horses and teach students and has hopes of influencing the eventing community in the Miami Valley. We are thrilled to have Megan on our team! Ends Meet Equestrian will be hosting MVEA mini trials throughout the summer - we hope to see you there! Emily Hansen Palmus is a Advanced and CCI*** rider. She has had multiple horses run at advanced as well as compete to Prix St George in dressage. 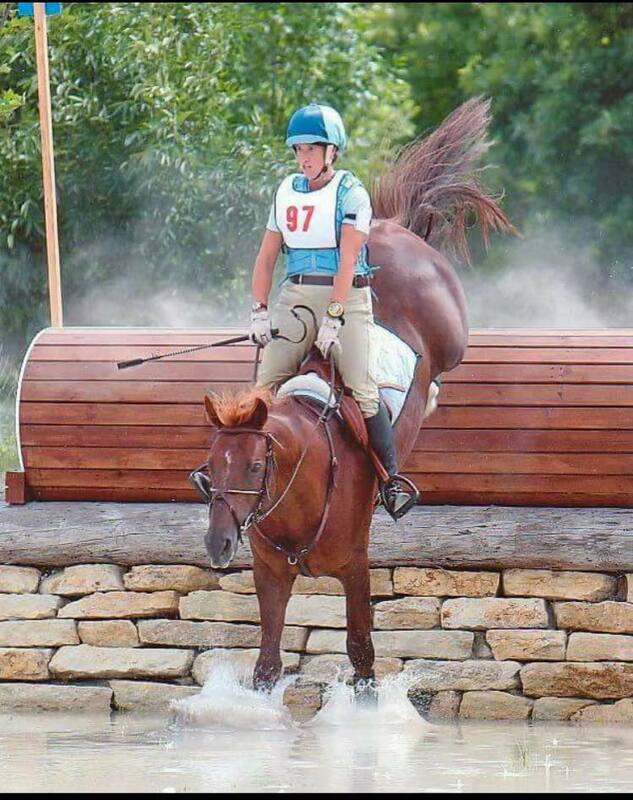 Emily has over 22 years of teaching and training experience and is currently Faculty Eventing Coach at Otterbein University. Emily also teaches students in the Dayton area at Millcreek Equestrian and Misty Creek Equestrian. Natalie is the owner and trainer of Pearl Equestrian in Goshen, OH. 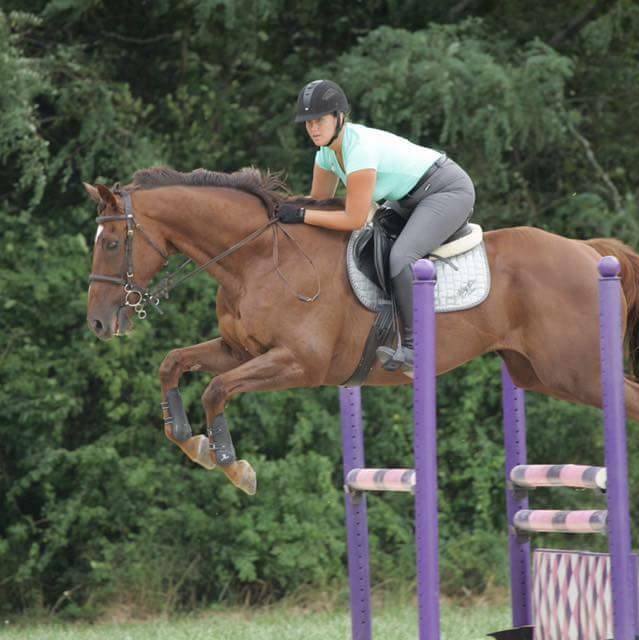 She has been riding nearly her entire life, and became hooked on eventing very early in her riding career. Natalie grew up in Pony Club, rating up to the C3 certification, and loves staying involved with the local clubs even today. After retiring her event horse in 2016, Natalie is now also dabbling in the world of dressage with her new horse. 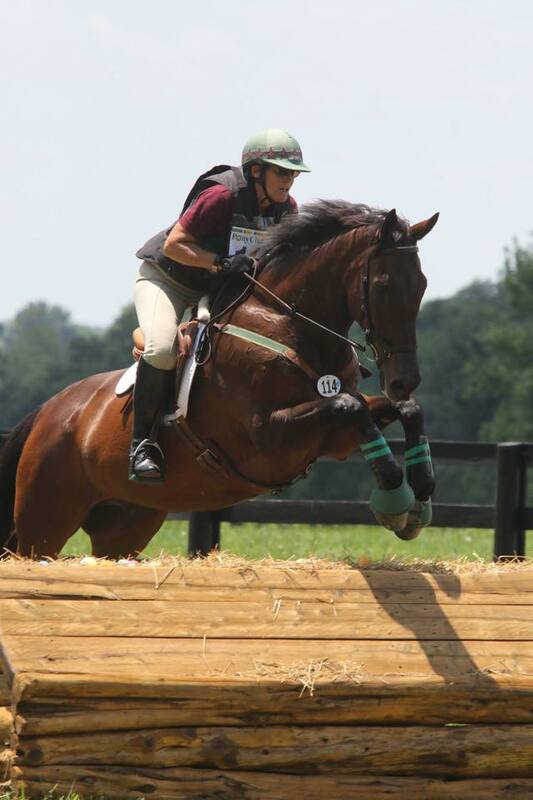 Conor started riding at age 9 at the Riding Centre in Yellow Springs, OH and soon took to eventing, competing throughout Area VIII as a junior and young rider. A member of Stillwater Pony Club, he received his B certification and also represented Area VIII at the NAJYRC three times, winning two team bronze medals. Forgoing college, Conor worked for multiple 4 star level riders in North Carolina, Virginia, and New Jersey furthering his education and competitive career. In 2012, he returned to Area VIII and launched his own teaching and training business. An ICP Level II certified instructor, he focuses on competing and training of horses and riders out of his base in Fairborn, OH and winter home in Ocala, FL.